Vegan protein bar containing carefully selected, high-quality natural ingredients! Available as single bar (40 g) or box of 24! 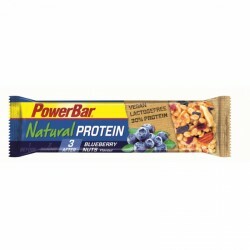 The Powerbar Natural Protein VEGAN is a tasty protein bar made of best natural ingredients. What is special about the Powerbar Natural Protein Bar VEGAN: It is crunchy like a cerial bar, lactose-free and vegan thanks to natural ingredients. Its high plant-based protein content of 30% comes from soy, peanuts, peas and almonds, among others. 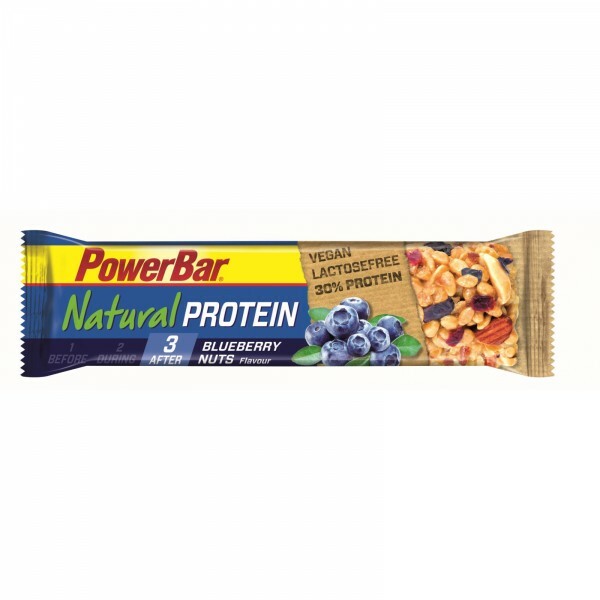 The Powerbar Natural Protein Bar VEGAN is available in two tasty flavours. Goût excellent. Pas trop sucré, le goût chocolat banane est très équilibré. Pour moi qui ai l'estomac fragile, cette barre ne pose pas de problème de digestion.